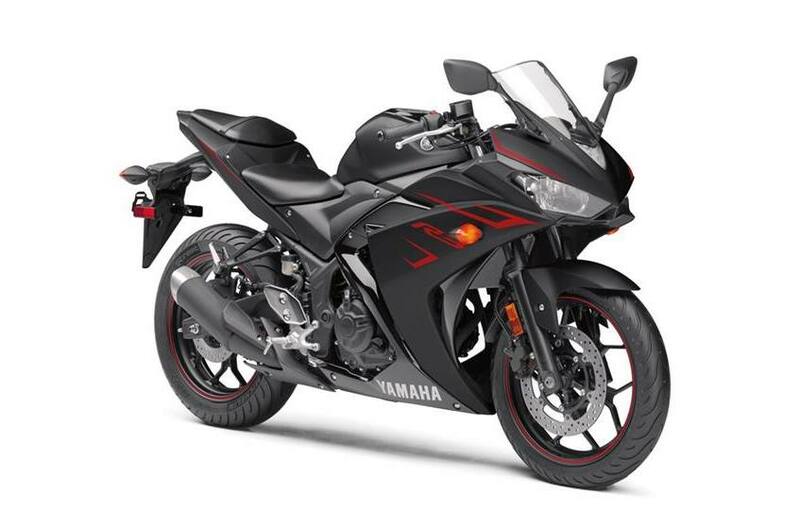 Striking Yamaha R-Series Styling: Yamaha supersport-inspired styling with a full fairing in a chassis that makes it perfect for first time rider-or experienced riders who prefer a lightweight, nimble machine. And three beautiful coloring options are available which means there is a color choice that is right for you. Advanced Engine Design: Forged pistons-just like the R1 and R6-are very lightweight while providing exceptional strength. And innovative Yamaha features like the offset cylinders reduce friction for more power. Strong and Lightweight Pistons: Forged aluminum pistons-the same technology used for the R1 and R6-means lighter weight and excellent strength at higher temperatures, ensuring reliability at higher rpm. Yamaha R-Series Styling: Legendary Yamaha R-series styling and performance come standard! Great styling matched to excellent engine performance and chassis design are the hallmarks of Yamaha’s R-series-and YZF-R3 carries on the heritage with great results. L x W x H: 82.3 in. x 28.3 in. x 44.7 in. New ABS-Equipped Model Available: For 2017, the YZF-R3 offers the option of an ABS model to support the hydraulic disk braking system. The antilock braking system boosts rider confidence by preventing wheel lock-ups in reduced-traction conditions.